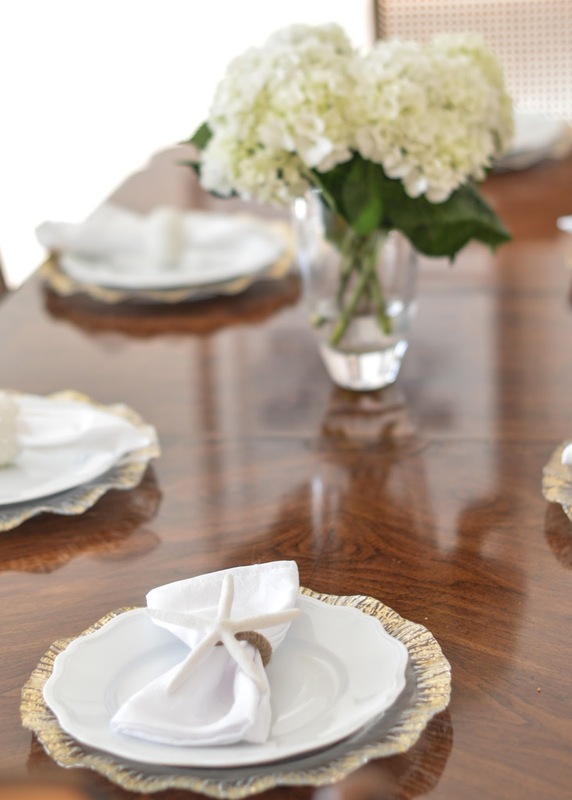 Stephen and I hosted our families for Easter this past weekend and I thoroughly enjoyed putting place settings together for each table! 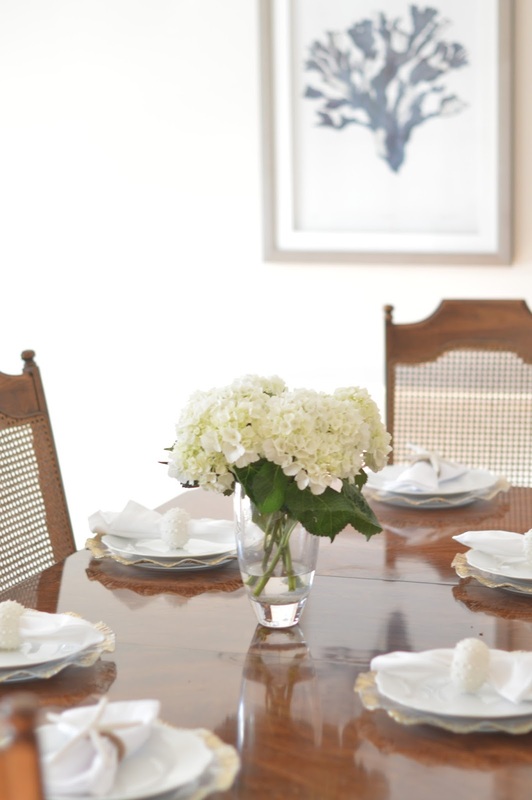 We have a formal dining room and a breakfast table, and those two areas combined seat 12. However, we had over 20 guests coming to our home, so we had to set up an extra table both inside and out, giving me plenty of tablespace to decorate! I had originally planned on having each table match, but instead, I decided to decorate each one a little bit differently. 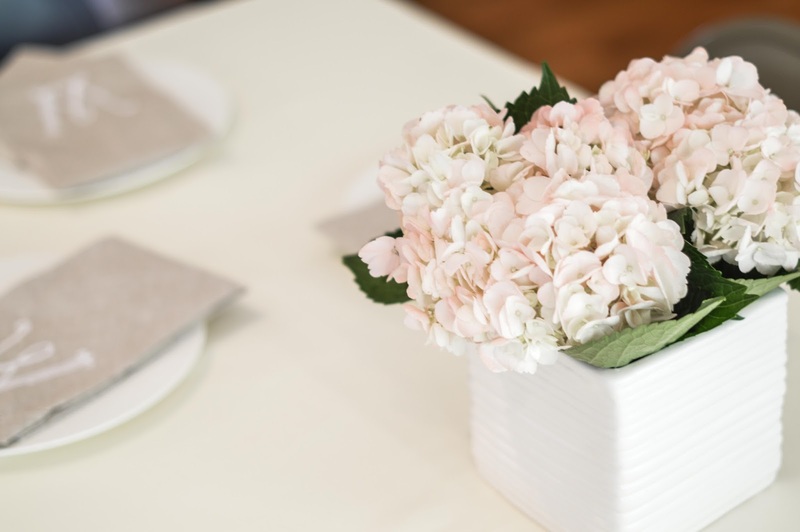 Each table featured hydrangeas as its centerpiece but in a variety of vases. 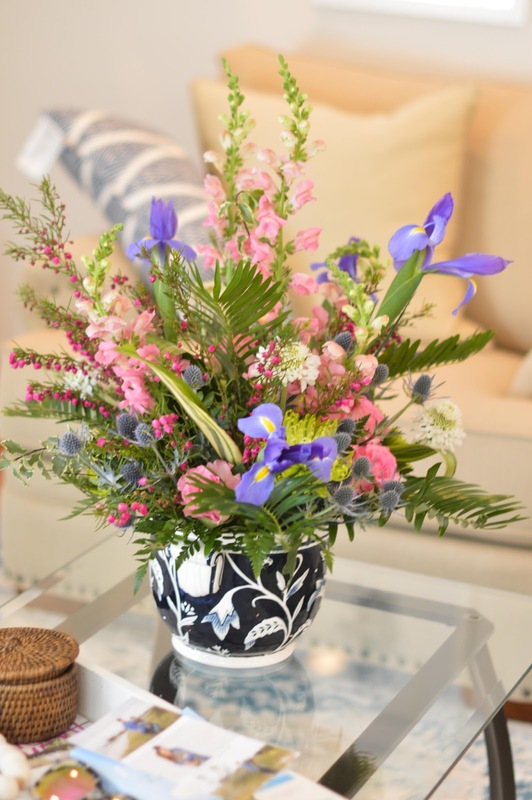 We have quite a few ginger jars in our home, so I utilized those in several places along with this gorgeous Kate Spade vase we received as a wedding gift. 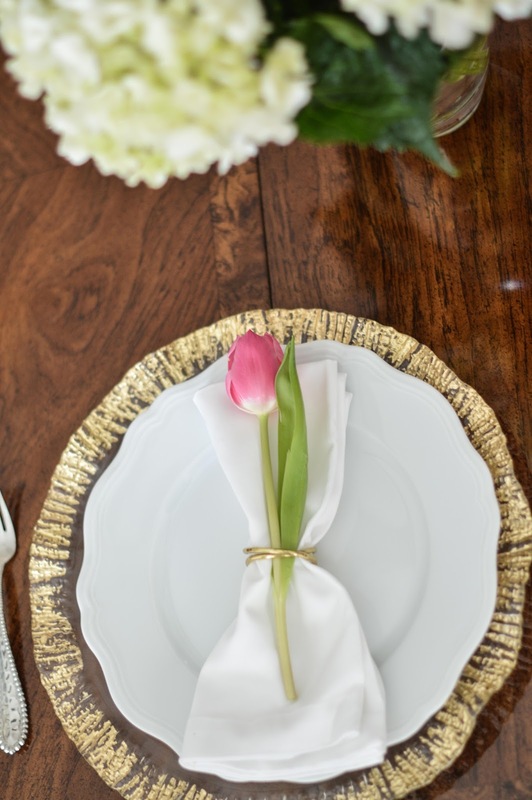 In our formal dining room, I used our Vietri Rufolo chargers and Raynaud Argent White dinner plates with linen napkins and gold napkin rings, accented by a fresh tulip. I loved the pretty contrast of the dark wood with the pop of color. 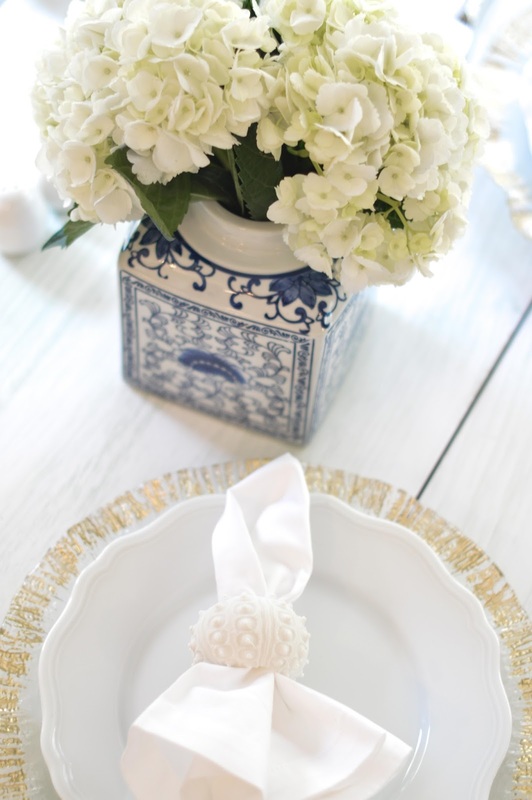 For our breakfast table, which is a white-washed table with a hint of blue in the texture, I used the same white and gold plate and charger combination but used these adorable shell napkin rings! 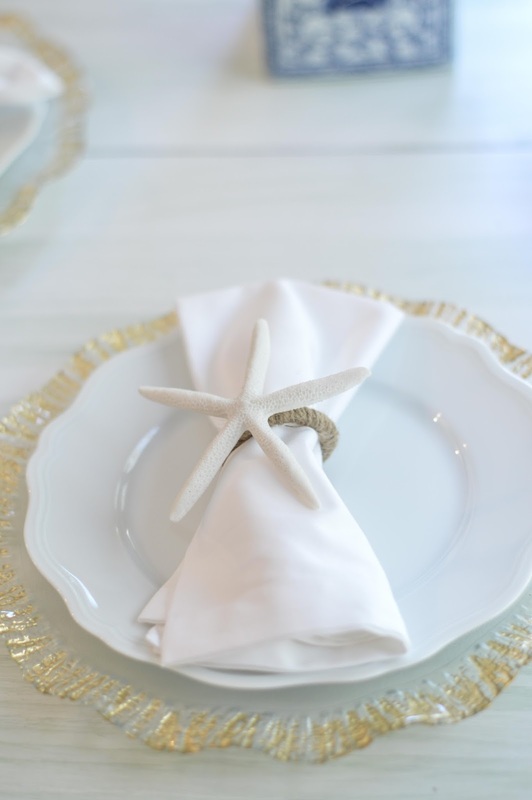 I realized I didn't have as many gold rings (as used in the dining room) as I thought, so I made a quick trip to Pottery Barn for a new options and loved the combination of the round shell with the starfish. And the ginger jars were just the cutest on this table. For my secondary tables, I had these beautiful monogrammed linens that one of my best friends gave me for Christmas. Because they are accented with our last initial, I skipped any extras and let those speak for themselves. I also felt like I bought stock this weekend in fresh flowers between my trips to Whole Foods, Trader Joe's and Harris Teeter. 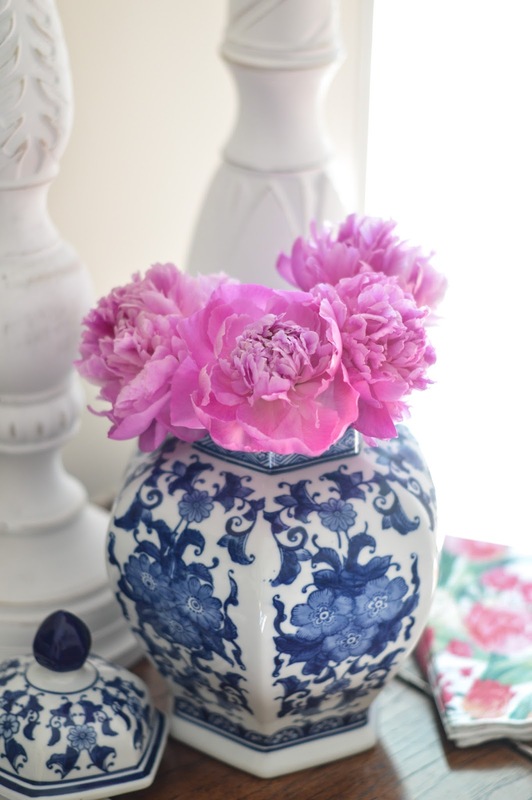 HT always has amazing hydrangeas while I picked up some beautiful peonies from Whole Foods. And as if I didn't have enough flowers, I received the most beautiful arrangement from my step-grandfather as a hostess gift! I was so surprised when he showed up with these! I wish they would keep forever! I have now moved my coastal decor to our front room since it's the first room you see when you walk in our house. 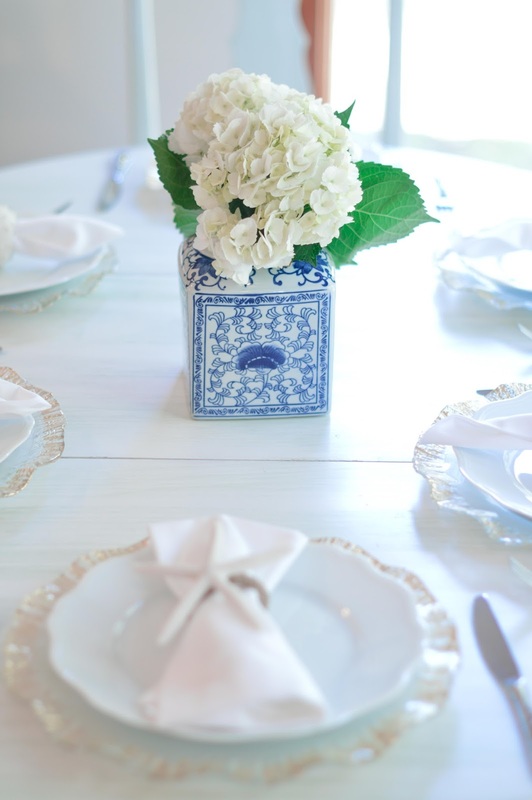 I've ordered more so that I can have all tables the same if I want but I love the coastal napkin rings paired with our traditional table. 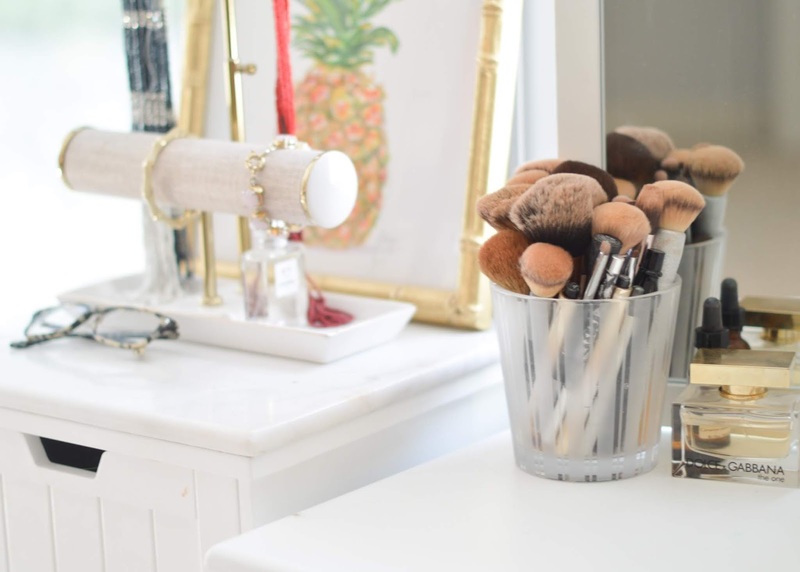 What's your favorite way to style your table?